The shapes of "tricouni" and the method of attachment to the boot's out-soles welt were different, starting from special nails and staples (up to 25 mm in length) to screws, and one-piece metal plate with teeth could be attached to the heels instead of individual clips. Mountaineering crampons used to be worn over the "tricouni". 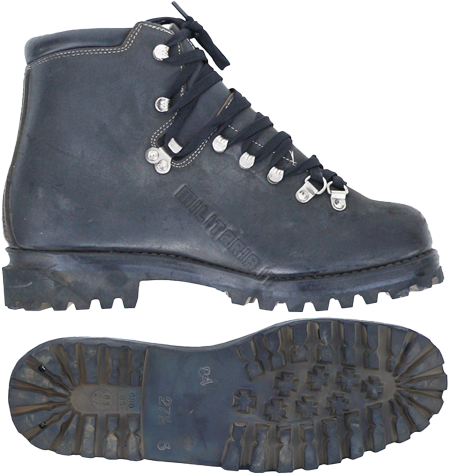 Therefore, the transition to more lightweight and practical rubber sole was simply inevitable. 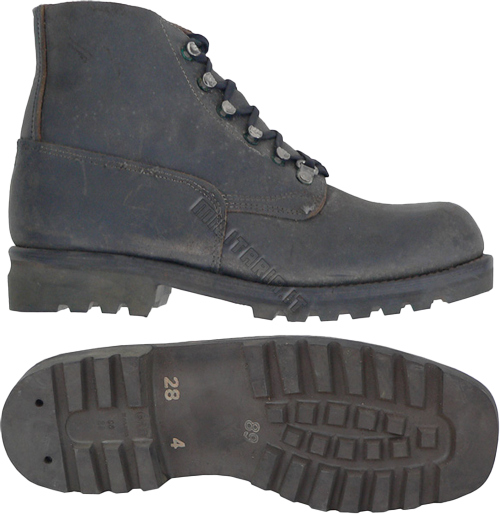 The new soles of the Swiss mountain boots featured the licensed modification of the "Vibram" tread pattern (the acute-angled crosses were replaced with simple squares in the center of the sole pattern, while the heel pattern had no such elements at all). 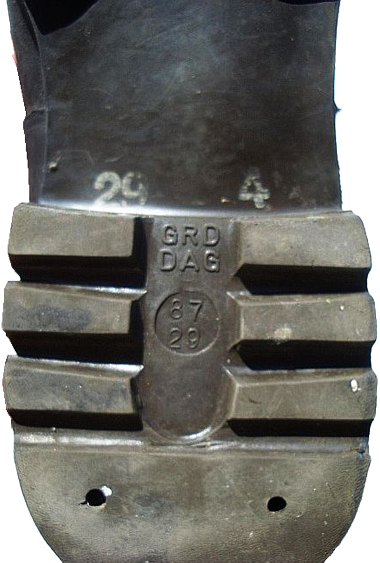 The marking was put on heels and soles, and consisted of the size, year and producer abbreviations. 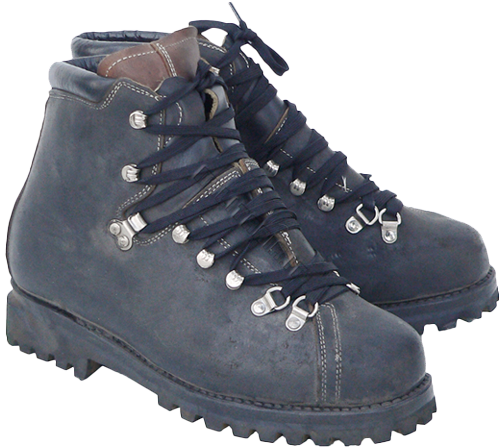 The lacing system in the low Swiss mountain boots ranged from completely consisting of hooks to mixed options when one or two of the lower elements were just simple round eyelets or "D"-shaped rings. 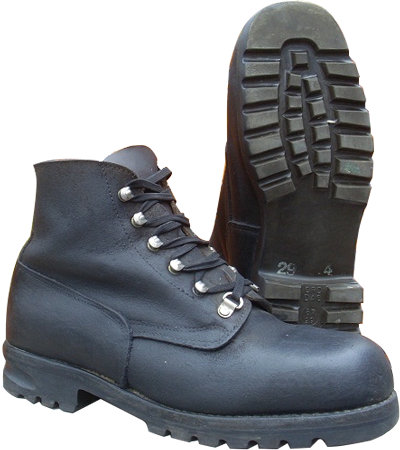 In the later versions of the boots the lacing design and system were improved - the boot's design contains minimum of seams, added soft leather cushion on top of the boot and the hook clamp to maintain the fixation of unleashed lacing. 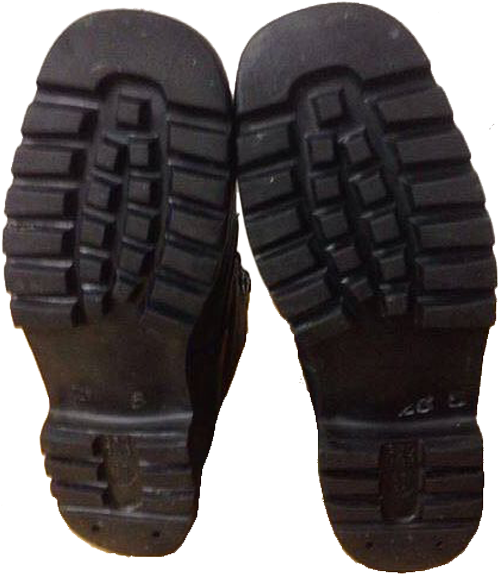 The out-sole tread pattern has also changed - instead of squares there appeared the classic crosses, like on the Swiss coat of arms. 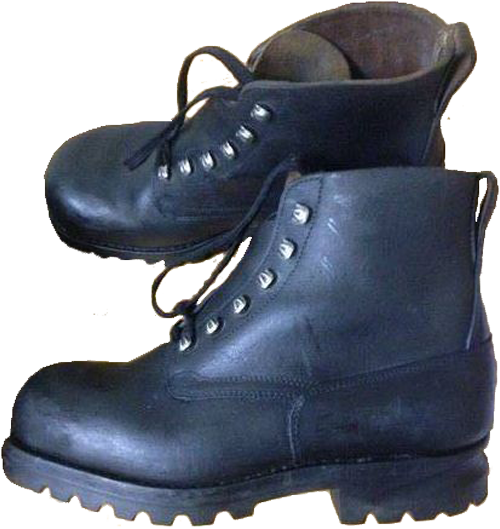 The Swiss army of the 20th century has been widely used the gaiters, especially with low boots. Before the Second World War the puttees had been widely used as well. The early gaiters were made of thick leather, with side adjustment buckles and a leather adjustable stirrup type strap that runs under the boot to help secure them on. 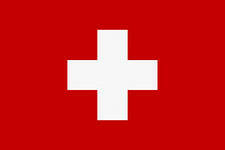 Further on the Swiss began using the zip-up gaiters of laminated wool fabric. The gaiters used to be worn over the footwear, and usually one size fits all. The military gaiters are designed to withstand even the most harsh conditions of use and stand up to tear-and-wear.